As a business owner, hopefully you need little convincing that social media marketing is something you need to do. In 2010 you might have needed a little persuading. Today, there is no doubt how important social media is. 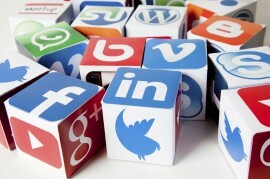 There is no longer a battle between social media and mainstream marketing. Social Media IS the mainstream. Facebook has over a billion users and Twitter averages around 307 million active users each month. People now spend more time on social networks than they do on email. While ‘everyone else is doing it’ isn’t a good enough reason in itself, if your competitors are on Twitter and Facebook, and you’re not, you may be missing out. More importantly, it is likely that the very people you are trying to reach with your marketing messages are also on these sites. If your customers use social media, you need to use it too. The users numbers speak for themselves. It is not a fad or something that is going to disappear if you ignore it. A broad range of people of all generations now use social media, and a large number of them will be your customers and prospects. Concentrate on making your business findable. If you can make your products and services easier to find online, you are half way there. Social media is now mainstream. It is part of people’s lives. If you are not using it yet, you need to get up to speed. Do it as soon as possible. Don’t put it off. The good news is that you don’t have to do everything. In fact, you don’t even have to do it yourself. We can help. We have lots of social media experience and have helped many businesses just like yours. Contact us today to find out what we can do for your business.